Portrait of Richard Koh. Courtesy of the Richard Koh Fine Art. 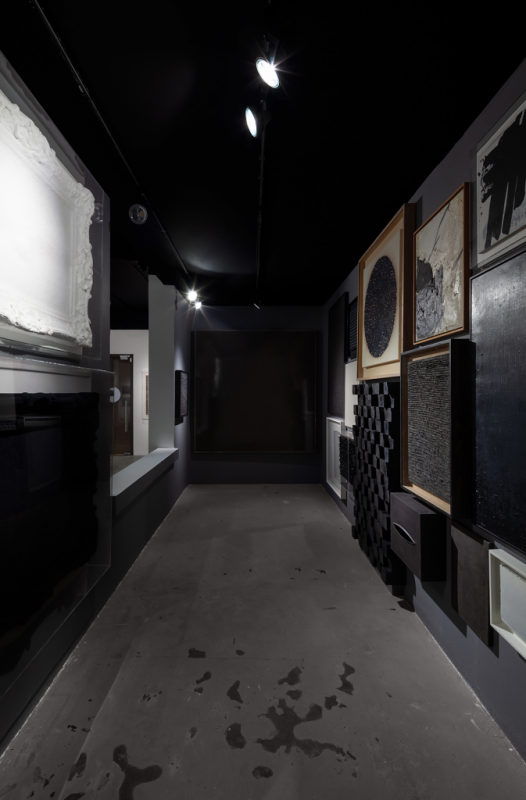 Installation View of ‘Of Dreams and Contemplation: Selections from the Collection of Richard Koh’. 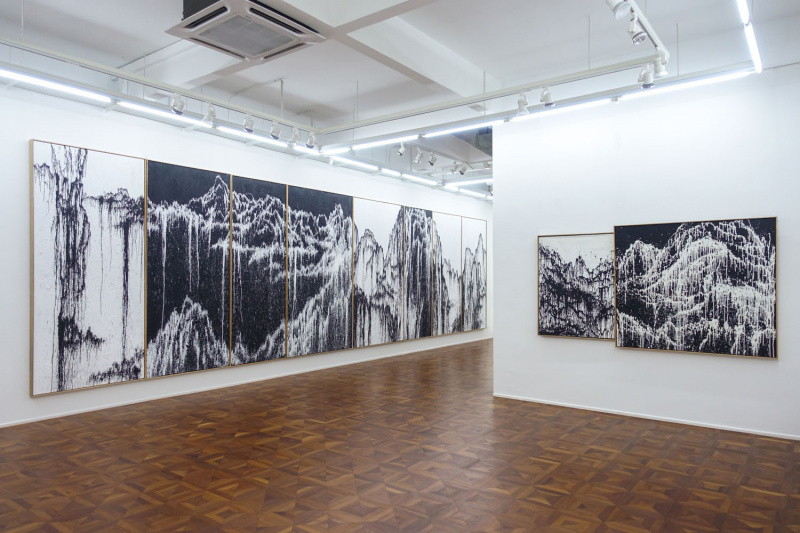 Yeoh Choo Kuan’s Streaming Mountain is currently on view at Richard Koh Fine Art, Kuala Lumpur. 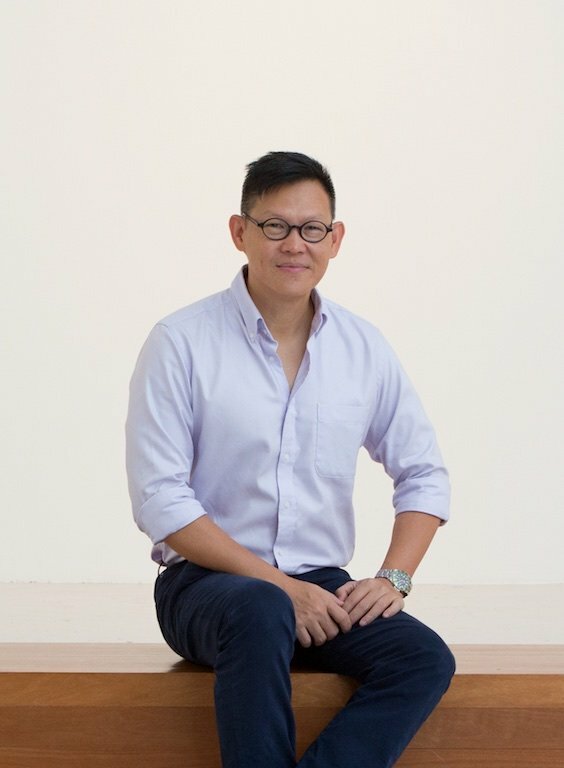 We speak to Richard Koh about his own collection, now on show at the Private Museum in Singapore, as well as collecting in Southeast Asia and how to grow the regional art ecosystem. In today’s culture, two opposing tendencies are emerging. On the one hand, there is a lot of emphasis on expertise and specialisation, which both allow humans to achieve astounding results. On the other hand, there is the rise of generalism or a holistic approach. This means that we can’t look at the different parts as separate entities, but must consider them in relation to each other, as a whole. According to the gallerist Richard Koh, we need the second approach when we look at the Southeast Asian contemporary art world. “When it comes to positioning Southeast Asian contemporary art in the global arena, many institutions, gallerists, collectors and curators would normally say they aren’t that familiar with it ,” says Richard Koh. “How can you curate Southeast Asia when you don’t have a unitary understanding of the region?” He believes most of these actors in the scene are operating as their own individual segments, unable to look at the whole picture. It’s not surprising that Richard Koh calls for a unitary vision of the Southeast Asian art world. He started dealing in art from 1992 and operates gallery spaces in Bangkok, Kuala Lumpur, and Singapore today, always with a nonconformist slant, as he is not afraid to overtly go against the grain. By presenting diverse emerging and established practices, his gallery programs illustrate the momentous evolutions of the Southeast Asian art scene. A private person by nature, Richard seldom attends social events and calls himself a “one-to-one, one-to-two person”. However, in the next few weeks, we will get to know a very personal part of him through the showcasing of part of his collection at the Private Museum in Singapore, entitled ‘Of Dreams and Contemplation: Selections from the Collection of Richard Koh.’ The show opens on 22 January 2019 during Singapore Art Week and we will see a completely different facet of the gallerist in it. Can you tell us how many works from your collections you are going to show and what kind of pieces they are? I’d say I will show about 20% of my entire collection. I just picked whatever there was in my house and office. Gathering all the works together, away from the space where they usually are, they look so different to me hanging together collectively in one space. It’s almost like looking at the children all grouped together for a photoshoot. It’s very strange. 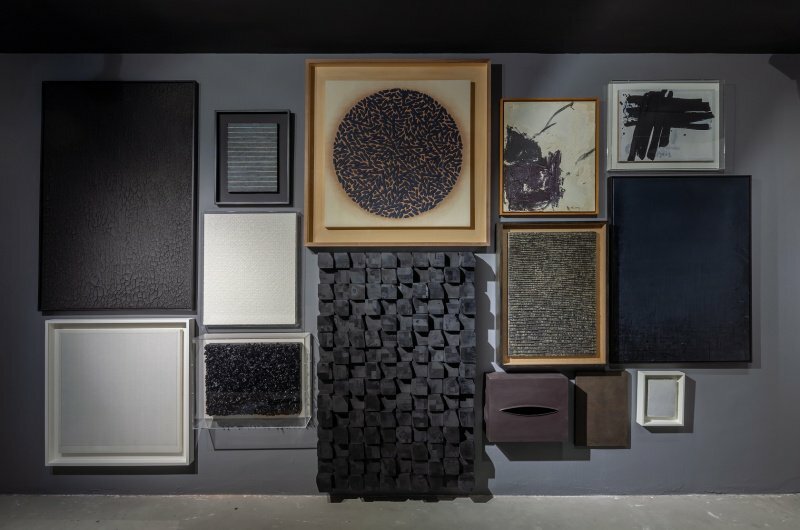 In this show, there are a lot of black works in all different forms. Do the works from your collection and the works you exhibit at your galleries overlap at times? What I collect is very different from what I sell. What I show in my gallery is about the artists, and their story and perspective, they are not about me. There are lots of artists I like, I love their work, but I could never buy them because there’s no link to me, to my story, to what I want to experience. I always advise collectors to buy what speaks to them and what they really like. Everyone is different. I wouldn’t tell a collector to buy like me because my idea of collecting is like a jigsaw puzzle, and perhaps can be puzzling for some. Would you consider your art to be therapy? Something that cleans your spirit? Yes, for me art is like therapy. However, the system that gravitates around it is completely different. I come from a fashion and an interior design background, so I have met all sorts of colourful people in my life – noisy, crazy characters. In these businesses, you mainly deal with rich people, and if you are not careful, you get carried away. You need to be grounded, you cannot live in a flat and behave like somebody from the mansion, so to speak. When I go home, the art that I have helps me wind down and come back to earth. A common complaint in Southeast Asia is that many collections look similar. What’s your own take on this? I see that many collectors buying art by listening to the ear, not from their heart. It’s fine if you really enjoy the chase, race, and competition. To me, collecting should be a journey. When you visit a collection, you want it to strike you as a whole. You don’t want to just notice the usual big-name artists and then forget about it. I know buying art is not easy. You must have a lot of confidence to not seek validation through it. It’s difficult to go in the opposite direction to what everyone is collecting and buy only what you think is right. Everybody wants to belong. It’s just like fashion. How do you select the artists that you are going to exhibit in Richard Koh Fine Art? I don’t go for the trendiest, the most expensive, or celebrity artists. That’s not what I want. I’m interested in growing together with artists who are under appreciated. You can call them the underdogs, those who are very focused and have a lot of conviction in what they do. I’ve been doing this for many years now. One of the biggest criteria that I look for now is work ethic. If the artist doesn’t have it, I don’t want to step in, no matter how good they are. Many artists come to us thinking that we can sell their work anywhere, but they are so wrong. How do you see the Southeast Asian art scene? I think Southeast Asia is very interesting because it’s a growing region with a large, young population full of energy and a entrepreneurial spirit. The art market is recalibrating. Of course, if you look at sales, it’s not particularly positive, but I feel there’s a lot of movement underground. Everybody wants to try to do something. I think this energy will help us to get away from a commercial mindset and the so called “money making art machine” system, ad help it grow more organically. In this context, Singapore positions itself as a neutral space for Southeast Asia, not only in terms of its museums, but also its gallery scene. Have you noticed some changes, in terms of what the galleries have been exhibiting in The Lion City over the years? There have been many drastic changes from the 80’s until now. In the ‘80s, when the Singaporean art scene was just starting out, they had a lot of local Singaporean and Malaysian art. Then in the ‘90s, Chinese art started to become prevalent. Then, Indonesian art, and later Filipino art. Now, you don’t see much of these shows in Singapore anymore, What you will notice today are galleries starting to show more Malaysian and Singaporean art, it has in a way come full circle. It’s just like the art fairs with their country pavilions, what will happen when they run out of countries or continents to feature? We’re at a moment where we need to really look at the strength of South East Asia and what Singapore as a hub has to offer the region. We should focus on this instead of trying to “international” – whatever that means. We also need to consider from who’s perspective we’re trying to be “international.” Every part must fit the larger picture so that it can thrive, if we only consider the different parts separately, the whole ecosystem will fall apart.